Beautiful image, beautiful thought! 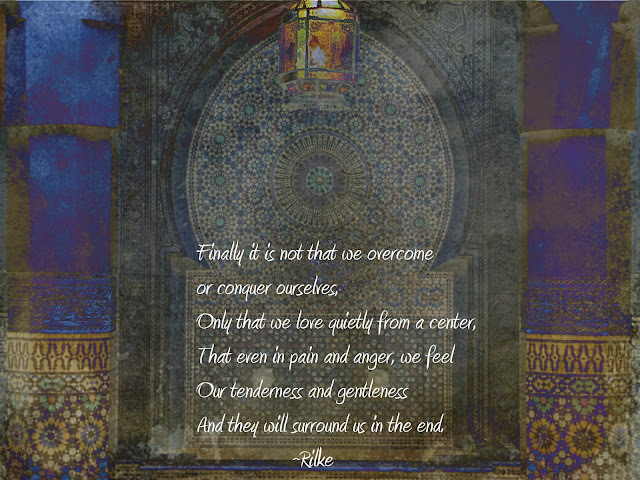 Rilke's statement is also comforting and reassuring. Wise words. I am watching a programme on Silence and its value - the quotation made me think of that. Brought smiles and joy to my day. a lovely quote, Bonnie, one that for some reason calls to mind Hafiz and Rumi. We find our way forward by surrendering to love. The blue in your image is so delicious, I feel soothed and ready for the day. The Rilke quote reminds me of another of his: "The purpose of life is to be defeated by greater and greater things." Love that quote! Find that stillness within and dwell in it!! I like this. 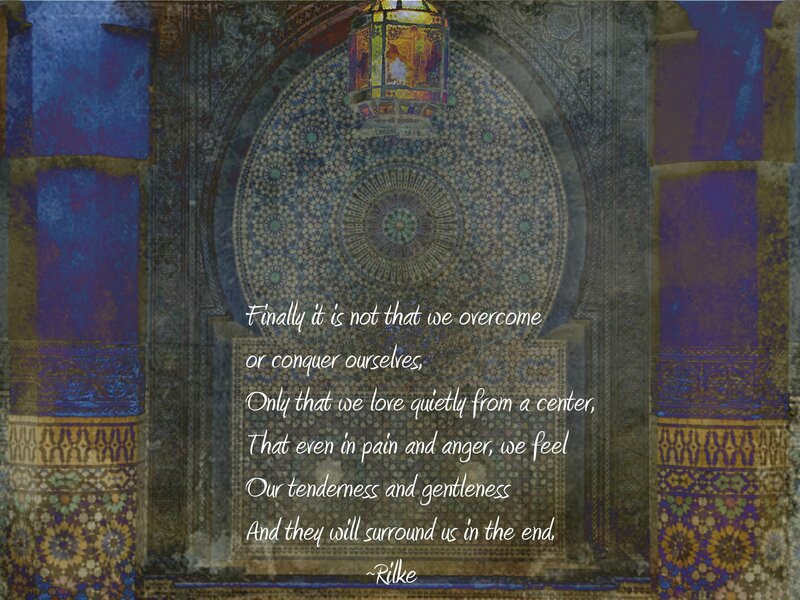 To be surrounded by tenderness and gentleness in the end is a comforting thought. ah... I think this is the Basilica ? and with the Rilke.. it doesn't get much better. I have so many of your posts to catch up on.... but it is a pleasure, and an honour.